We hope that you enjoy exploring Vietnam as much as we do. The north-west of Vietnam is a captivating blend of dramatic mountain landscapes and colorful valleys. Create by a spectacularly beautiful hill, Sapa is where we base ourselves for explorations of this breathtaking region. 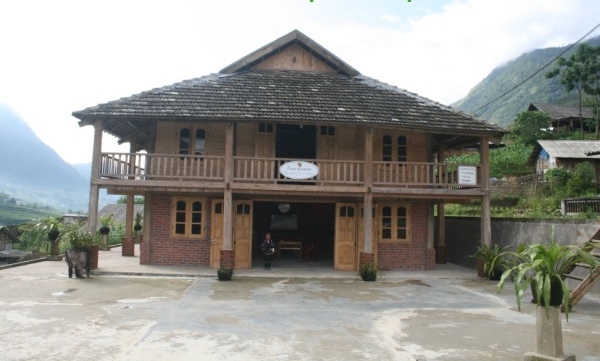 In Sapa, you can choose several accommodations to overnight such as hotel, homestay, resort,… However, nowadays, a numerous travelers get the good option like homestay as it is not only cheaper but also closer the local living than others. No doubt about the lack of knowledge because we are going to help you with the best Sapa Vietnam homestay. There are two types of homestay. 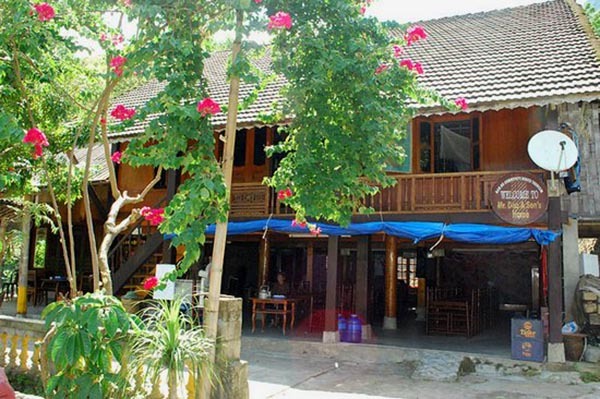 The choice is either a well-established luxury homestay with other travellers or staying in a traditional home. In both, expect to experience village life in all its glory. On the plus side, you will get some quality time with the wonderful ethnic group community. National homes are set within the famed rice paddies and have incredible views if the weather permits. On the downside, a numerous travelers expect to be awoken early by roosters or livestock to get more experience. Analysis the information, you can choose towards the end of your exploration and decide which type of homestay you want to stay. In Sapa, there are a lot of luxury homestays attracting more foreigners where you can book the room before coming or checking in directly. 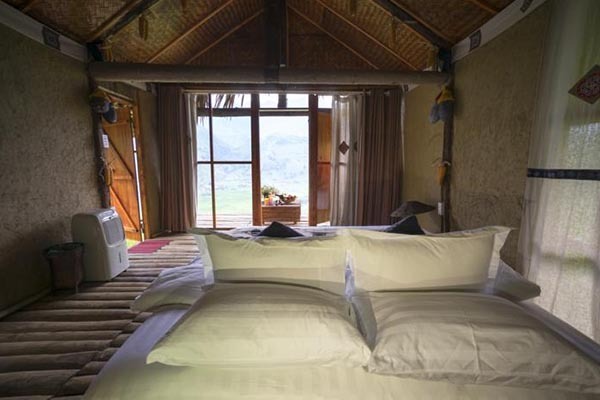 Some luxury homestays called guesthouse style homestays, which are larger and more modern than traditional types. Of course, these homestays are built from wood or brick. There are more convenient for people because of no separate bedrooms or en suit bathrooms with standing shower, hair-dryer and free toiletries. In case, several rooms with cheaper price maybe share one clean toilet. However, the bathrooms respond enough the conditions like a couple of western style toilets and warm showers. Different with traditional homestay, luxury homestays are equipped with the modern facilities such as Wi-Fi Internet, cable TV, electricity. All rooms are very clean and comfortable for tenants. Don’t worry about the quality of foods and drinks in luxury homestays because they are very delicious. All dishes are decorated more attractively to stimulate the appetite of gourmets. You completely request the menu for house owners. There are facilities to buy soft drinks, beers or water at an additional cost. All passengers will concentrate on the living room to enjoy the meal. Therefore, you can build the relationship with people living in there and share the experience to get an awesome trip. Moreover, in luxury homestays, you can live in the safe environment to avoid the fraud. Finally, the disadvantage of guesthouse style homestays compared to popular homestays is price both of the room and food. Highly recommendations for you want to stay at luxury homes such as Heavenly homestay at No.07 ta Phin, Stone Garden Homestay in 04 team, Ta Phin village; Sapa volunteer Homestay in Ta Van Day Iron bridge, Ta Van village. Popular homestays called traditional homestays which are homestays of local people and closet the local living. Different with luxury homestays, when you come to Sapa you can ask the local people to overnight during the trip so don’t need to book before. As there are several ethnic minorities in the areas surrounding Sapa’s center districts, you will have many options for homestay. These homes also come equipped with a sleeping area but bathroom and toilet facilities vary which are shared by many people. In fact, some Sapa Vietnam Homestays have no toilets what so ever, whilst others have long drop latrines. Therefore, living in traditional homestays, you will get less convenient and less secure than in luxury homestays. In traditional homestays, many travelers appreciate this regional activity since it is the chance for them to get actual experience of local life, traditions and lifestyles. The local hosts are so friendly and generous to show you their normal life by letting them join the daily works as well as serving some very delicious local dishes. 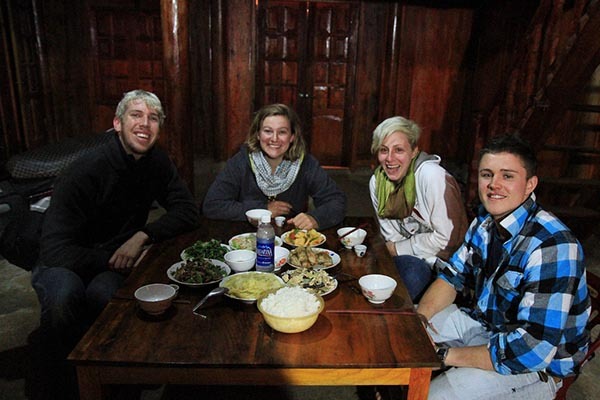 For instance, you can cook and eat with your family host and generally enjoy the hospitality of Sapa’s local people. As a result, you will enjoy more the traditional foods and drinks like wine of ethnic group. A few days stay in the magnificent ethnic villages in Sapa is really great. 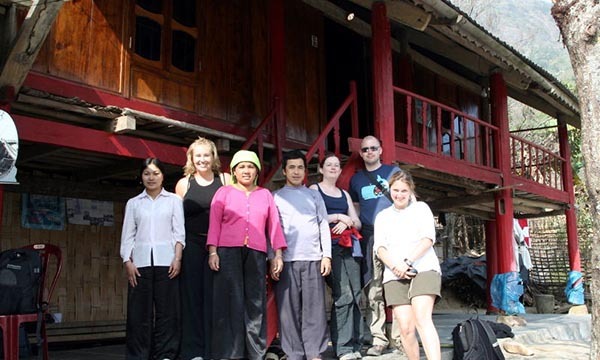 Besides, homestay might play an important role of your trekking experience that they will share for your needs of multi-day trekking plan to fully discover the beauty of the mountains and color of valleys in Sapa. To sum up, the expenditure of that accommodation during the journey is very cheap. Ban Ho village is about 20 km from Sapa town where is home to the Tay ethnic. The form of tourism that allows visitors to rent rooms from local families is one of the things that make the attractiveness of Den village. Secondly, along with National highway No.4D towards the southeast, about 8 km from Sapa town, you will go to Ta Van village. It is a village of the Zay and H’mong ethnic people. Lao Chai village is located 7 km from Sapa town on the west bank of Muong Hoa river, it is a village of black H’mong ethnic group, where also appears Sapa Vietnam Homestay. To conclude, we believe that the above information will help you make the better option either living in luxury homestay or living in popular homestay. Greatly, nowadays, Sapa Vietnam homestay is attracting more travelers because of the advantages such as price, experience, food, culture and so on.